Epipactis purpurata is rare and localised and frequently grows with Epipactis purpurata var. rosea, an even rarer plant which has no chlorophyll and is entirely dependent on a relationship with mycorrhizal fungi for its survival. 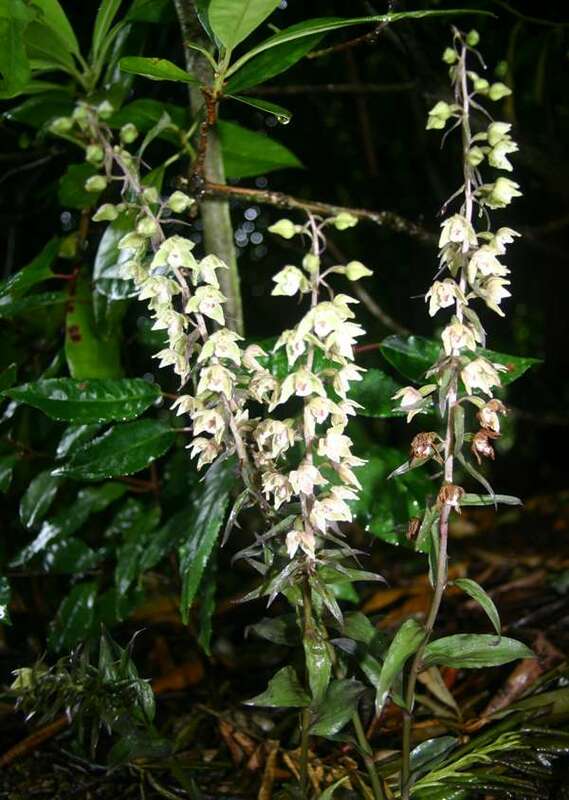 Growing to around 40 cm typically, the Violet Helleborine can grow much taller - to around a metre in height. With the exception of Epipactis purpurata var. rosea this is the most noticeable of the helleborines because of the large, pale flowers which open fully allowing cross pollination by insects. The plants have quite broad leaves which are washed purple on their undersides. There are further narrower bracts throughout the inflorescence. 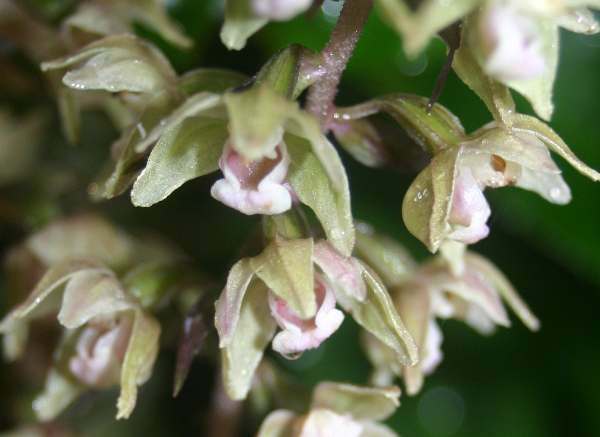 The relatively large flowers are pale green with white lips which surround a pinkish hypochile. The Violet Helleborine can be found throughout the southern part of England and in the temperate zone of west and centralEurope. It grows in shaded woodlands (especially Beech) and sometimes in conifer plantations. It likes deep, slightly moist soils. The specimens shown on this page were seen in Surrey in July. The Violet Helleborine flowers from mid-July and well into August.